Jakarta DPRD is asking regional working unit (SKPD) to overcome flood problems faced by Petogongan citizens, Kebayoran Baru, South Jakarta.
" 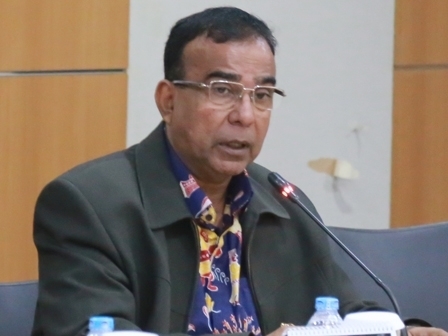 Flooding in Petogogan is a crucial recess for immediate action"
"Flooding in Petogogan is a crucial recess for immediate action," expressed Ashraf Ali, Vice Chairman of Jakarta DPRD's Commission E, Monday (10/30). According to him, based on recess results in the field, local people are complaining the Krukut River often overflowed, even though rain with light intensity occurs. "Locals say their village is always flooded when light rain pours. The point is they propose physical construction to arrange the Krukut River," he stated. He assessed, the problem should be a priority scale to be addressed immediately. "This is because the river is neglected, as the place is still very traditional with the edges of the land, instead of sheet pile," he closed.